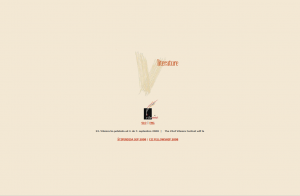 The 2007 Vilenica International Literary Festival, which is organized by the Slovene Writers’ Association and the Culture Society Vilenica, will be held from 5 to 9 September in Gorica (Italy), Hruševje, Koper, Lipica, Lokev, Ljubljana, Štanjel, Vilenica and on some other locations. Several events will be taking place around Slovenia the day before the opening ceremony. The main pre-opening event will feature the leading Swedish poet Tomas Tranströmer. The motto of this year’s festival is »Who is afraid of the truth of literature?«. The main events of the Vilenica expert programme, the CEI Round Table at Vilenica and the 5th International Comparative Literature Colloquium, will scrutinize the question of literary censorship and the status of the literary truth closely related to the former. 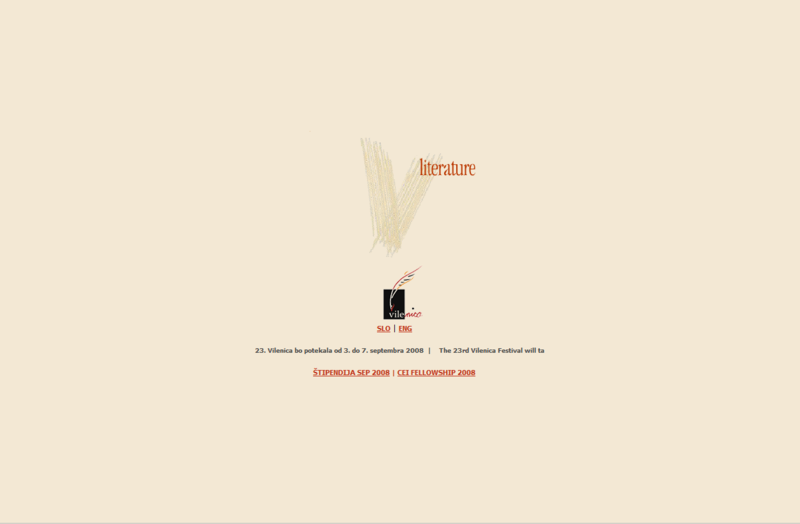 The main event of the festival will be the presentation of the Vilenica International Literary Prize, which has been awarded by the Slovene Writers’ Association since 1986 to Central European authors for their top achievements in the field of literature and essay writing. This year’s winner, Goran Stefanovski, will be joined by other prominent writers from Central Europe and some other countries who have been selected by the Vilenica jury. The authors from Central Europe will be up for the Crystal Vilenica Award; this year’s winner of the Crystal Prize will have the opportunity to take part at the prestigious Cúirt International Festival of Literature in Galway, Ireland. 21st Vilenica started with the project »Less-Known European Literatures of Europe at Vilenica«, the purpose of which is to present those literary landscapes which for some reason have been overshadowed by larger, stronger and more distinguishable traditions. Last year’s presentation of Basque literature was most successful and this year we will focus on the literature written in one of the oldest European languages i.e. the Irish language. The publication of the second volume of The Vilenica Anthology entitled Amanairis: the Contemporary Literature in Irish will be accompanied by a series of events and visiting writers together with the concert of a well-known Irish band Téada. This year as well a writer will get the CEI Fellowship presented by the Central European Initiative in collaboration with the Slovene Writers’ Association. The festival also presents a few selected events from the international project Sealines, which involves six European ports including Koper. Other events and different publications are being prepared as well. We would like to express our thanks to all the partners and sponsors of the Vilenca 2007 who have helped us carry out the festival.